Wow, what a tough day - it's always bittersweet when they find the transition easier than we do. When we do our jobs right, they need us less and less. I'm glad she had a great day - and what a lovely gift! As for the apple, it's an ingenious gift. Gotta say. I didn't know where you were going after that blog post title. Glad it was a happy occasion for one of you, at least. My daughter started high school today, and I was as wistful as you are. It doesn't change! I'm about to feel that heart-tug one more time -- my youngest off to college for the first time. I think you're doing something right when they're ready to be launched on the next chapter of their life. My kids have always wanted to GO -- and it makes me sad but proud that they can. I had tears in my eyes as I read your post. Unfortunately, it doesn't get any easier - I cry every 1st day of school as I send my four girls off for a new year. All the best to you for a great school year!! Oh, I must be an oddball. I was nothing but excited for my daughter when she started kindergarten, and I couldn't wait to pick her up from daycare every day and hear about what they did in school. Such an adventure they start off on with the first day of school. The apple is awesome! I'd love to make some. I bet they'd do awesome in any kind of sales as well. My oldest starts kindergarten next week...I hope I'm not a mess, but I sometimes surprise myself! 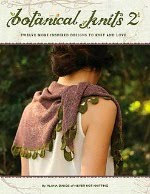 I'm looking forward to the design collection and can't wait to get a copy! oh, what a milestone! I'll be crying alongside you in a couple of weeks. And I love your version of an apple for the teacher - I'm sure she'll love it, too! I am a retired Kindergarten teacher and mom. I Know how hard it is to see your children go off to school for the first time. You did well. I'm absolutely sure that the teacher will love the apple...I would have! Awwww. I love her little bath-time smile. what a sweet sweet post. I was the same way. Tomorrow, my twin boys start college & I feel the same way as I did on their first day of kindergarten! So, I'd like to tell you it'll get better, easier, but in my experience that has not been then case. I can however, empathize & tell you your not alone. Also, what a lovely apple for the teacher! Brilliant! I totally sympathise with your feelings. I always found that each after school hometime was a mini celebration. awww - she is such a beautiful little girl, you should be proud! My daughter starts School in a couple of weeks and she is so excited but I am a wreck! I can say unequivically it is easier to send them to college than to kindergarten......you made it through! Now you've made me cry too *snif, snif* They grow up way too fast and I don't even know the half of it yet. 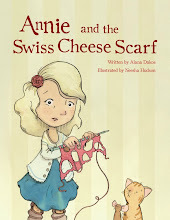 What and adorable gift idea for teachers too! Awww, I totally understand. I cried on my oldest and youngest's first day. I think its ok to do that. Its a big change with many more to come. My oldest graduated last year and this year my youngest started high school. I cannot believe how quickly time flies...it seems they just started kindergarten!! Just enjoy each new change, they are all good, just different. The apple is a perfect gift. Oh, that is such a thoughtful gift! I love the idea. Wow, they do grow up fast don't they? Mine is starting a pre-school programme twice a week in September and he's all excited, meanwhile I believe I will be a wreck. She's a beautiful little girl! hoooo i understand this feeling. I felt the same way with my son for the first day of kindergarden, and then for the first day of high school... and now would be nice that the time goes just a little bit slower... The apple: what a nice idea. And your daughter is "magnifique"! The days are long, but the years FLY!!! Sweet baby girl! ahhh, that IS very tough Mama! 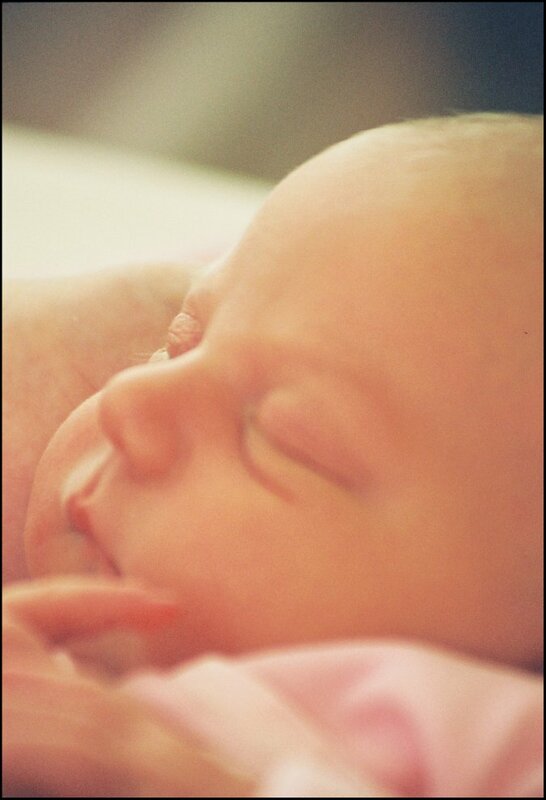 I do want to say that first baby picture of her is absolutely fabulous. Be strong. As my parents say, you want to raise eagles, so that they can soar high on their own. oh my--we have all been in your shoes--as a classroom teacher of second graders--the first day is exciting for all of us and the last day of school we all cry! At least your daughter did well! My older son will start 4 year old preschool after labor day and he always does great (and I'm the mess!) My second guy is only 20 mos, but he is very attached to his mama! I don't even want to think about him going to preschool or anywhere for that matter! I'm glad we have another year until "real big kid school." I'm sure you'll find a way to fill your time home alone until you are joined by a new little one! Hope you are feeling well! Love your apple! I might have to copy! I can totally relate. My little girl just started preschool and my heart literally hurts when I see her tear up as I leave her. And from the comments here, it doesn't sound as if it gets any easier! 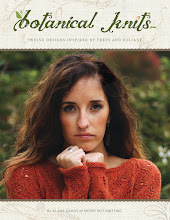 I think I'll knit away my sadness! 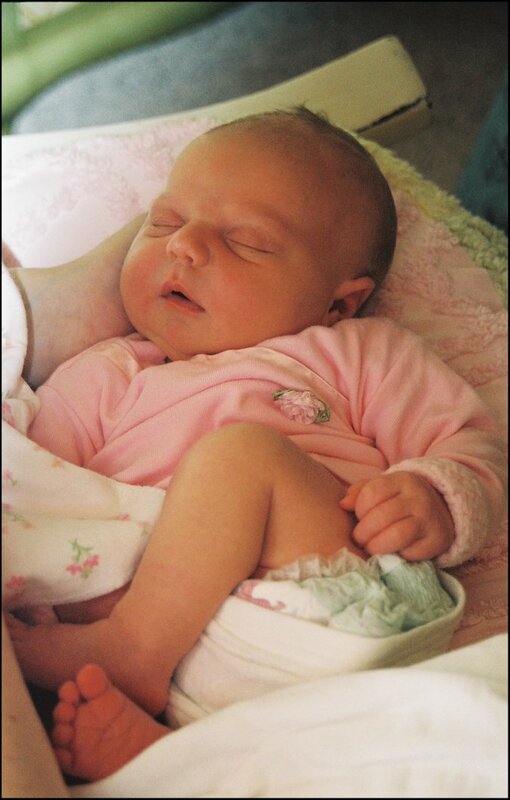 Awwww. . . . She looks sooo adorable both now and when she was a little baby! Good luck with the next few days! What a beautiful post , Alana...whatching children grow is bittersweet- savor every moment..
Ahh.. Alana, your baby is beautiful! No matter how old she is. My kiddo goes to preschool next Monday.... I want my little daughter back, too!!!! Thank you for the quick idea on the gift to the teacher! I remember it well, the first day of Kindergarten! She looks to precious and I love the apple! Your darling is ... darling! It is incredible how quickly children grow up (mine are 16 and 12) and even now, I still feel a little blue when school starts. 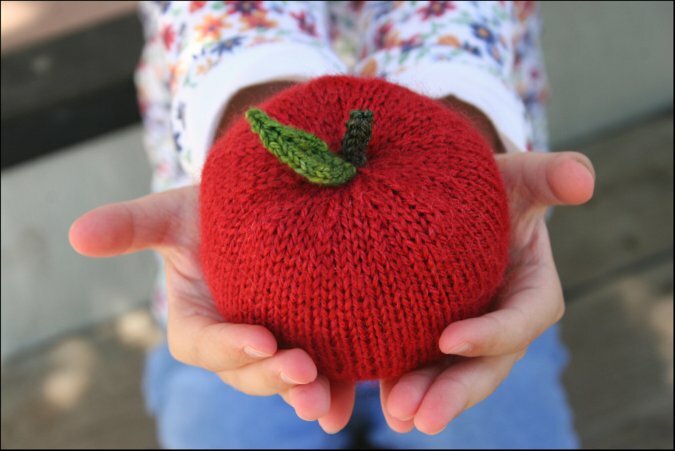 Your knitted apple is a wonderful gift and I imagine your daughter's teacher will treasure it always. Hang in there! What a lovely gift for the teacher. Your sweet most made me remember (as the beginning of the school year always does) my last child's first day of school. Her dad was serving in Desert Storm and I was solo. She'd been so excited to go to school but when the day came to get her on the bus (she was so cute in her red plaid kilt and white blouse) she started screaming that she didn't want to go. My friend was videotaping the whole thing for posterity. It took the bus driver and the two of us to get her on the bus. Screaming horribly. Oh it was awful. I sat on the curb when the bus pulled away and sobbed. SOBBED. When I met the bus that afternoon with a balloon in hand, she was all smiles at having had such a fabulous day. I send you hugs as you make your transition to having such a Big Girl. May you find joys and sunshine along your new path! Speaking as a teacher, I can tell you that the apple will be loved, appreciated, and treasured! What a thoughtful gift! My little girl will be starting kindergarten after Labor Day...and my big boy is a third grader. I don't know how it happened. I'm ready to cry, too! The apple is a great idea. You are so sweet to make an apple for the teacher! My little blonde-haired, blue-eyed baby girl starts school on Monday. I'm right there with you. What a fabulous idea and I know exactly how you feel. I had a few tears of my own the start of this school year because I have a senior in college, a senior in high school and a 2nd grader. The school years go by just as quickly! Your little girl is a beauty! Tell her good luck in the big "K". Oh! You reminded me of my first (and second) daughters' first days of preschool. All the mothers were out in the playground sobbing after the dropoffs. The hard part is knowing that after a few minutes, they seem to be doing just fine! I understand. I wish they would all just pop back to being infants for a few minutes, for a snuggle every so often. It's nice to know that every time your daughter sees the apple, she'll think of you! What a lovely apple! Brilliant indeed! Your post made me laugh and I'm moved at the same time... I'm sure that you will be amazed at the interaction you will get with your daughter now that she will evolve in her new surronding! - http://www.ravelry.com/projects/iris68/tomato-2! Thank you very much for the idea! It was a very quick & fun project. Cute little girl & she was cute as a baby too. I know how you feel. I remember my oldest girl starting school. Now she's just left compulsory education at the age of 16 (she's staying on to do A-levels though) and it feels like 5 mins ago she was just starting school. Enjoy these school years. they go far too quick. Oh what a gorgeous baby! And what a gorgeous little girl! They do grow up so fast. My "baby" got married this summer. I'm excited that our family now has a new daughter! I always reserved the right to make a fool of myself the first day of school. Boo Hoo...how my babies are all grown up, it happens so fast. Enjoy every momenet that you can. I teared up reading this and looking at the beautiful photos of your daughter. It's so hard to watch them grow up! My baby girl just turned 16 and that is just mind-blowing for both my husband and me. The time just goes so fast! Cherish these milestones and all the days - even the difficult ones. So glad your daughter had a great day!! Ohhh what a sweet post.I have not been able to get on and check your website for the past few weeks due to the fact that as a Kindergarten teacher I have been EXHAUSTED!!!! I really enjoyed reading about your emotions as a mother sending her first child off to school. You are in good company (I had a few crying parents on the first week of school too!) As always your work is amazing and I LOVED the apple. 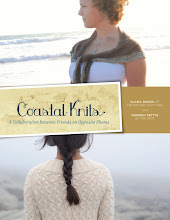 I think I will knit one up for my desk. Thanks again!!!! For me, leaving my daughter at college was much harder to do than sending her off to Kindergarten. She is pretty far away (and managing wonderfully on her own) so I don't se her often enough. I miss her a lot. Fuerza y pensá que ella va a ser muy feliz conociendo muchas nenas!!! Love this post! My wee one started Kindergarten last week too...it was all I could do to NOT cry when she chose to ride the bus with the neighborhood kiddos that are older...just happy she had a great first day, the first of hundreds/thousands to follow! Does anyone want to know if the Kindergarten teacher liked the apple or not? Well....I am that Kindergarten Teacher and I love the apple!!! I just assumed that it was purchased in some adorable store! Today I held up the apple because we were learning the word...the....which always names something so I said the classroom, the pencil, the students, and the apple. One of the adorable little students told me all about how her mom knits all kinds of things and that she is learning to knit also. Amazing! I looked at the apple again and the detail is amazing. I couldn't believe that is was made special just for me. So I talked to mom at the end of the day and she told me all about her business. I LOVE the "Difficult Day" story. 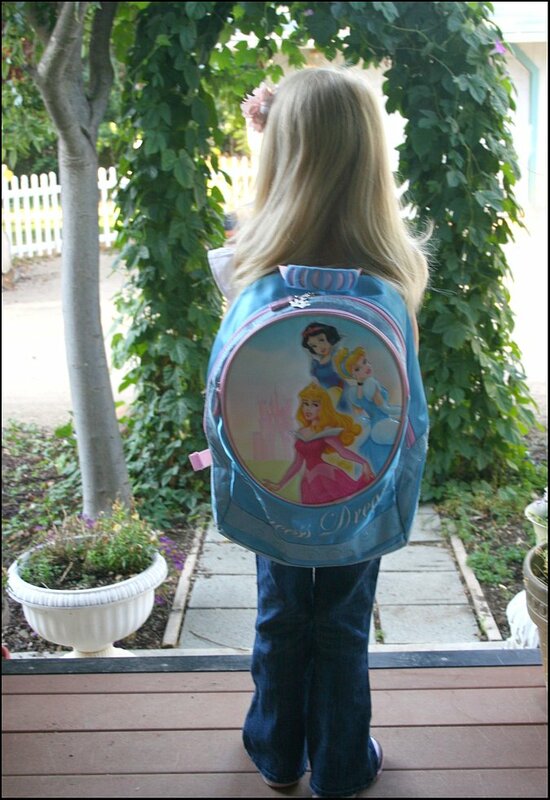 My kids are older and I remember the first day of Kindergarten for each of them. Far worse, is the first day of college. 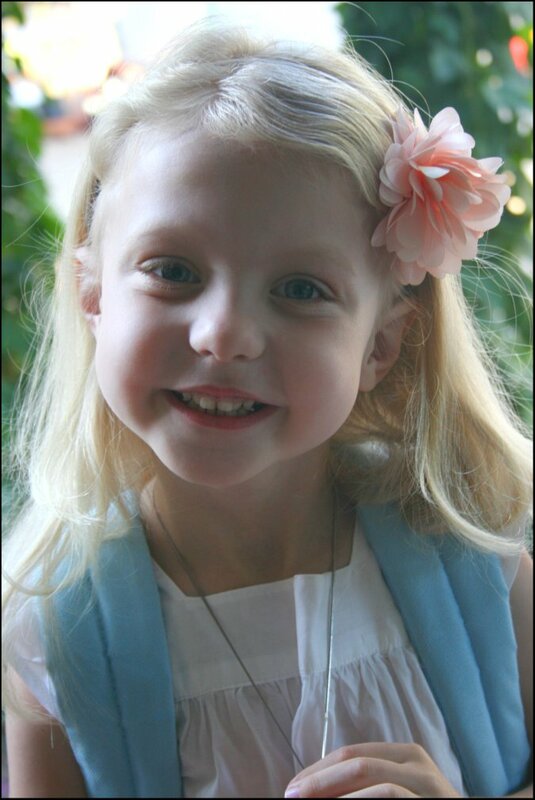 Imagine dropping your child off and knowing that you will not see her again until Thanksgiving! Heartbreaking. But the youngest one is now in her final year of college and all is well! 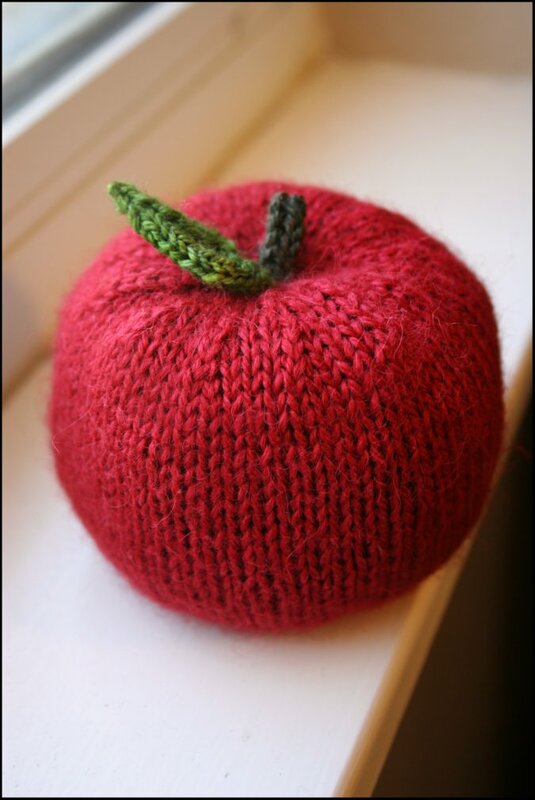 I have been given many different kinds of apples over the years...real apples, wood apples, playdough apples, and now a knit apple that I adore and treasure! Retirement for this K teacher is just a few years away! I think I need to take up knitting to make little hats for the grandbabies that I someday hope to have. Thanks Alana and family! My oldest baby just started Kindergarten this year as well! It was a teary first day for me. My daughter is loving it! The apple is such a cute idea!